WeWork has acquired Managed by Q, a platform for office tenants to hire on-demand service workers for office-management tasks like cleaning or staffing reception desks. Managed by Q was most recently valued at $249 million in a financing round in January and had raised $85 million since 2014, The Wall Street Journal reported. Dan Teran, Managed by Q’s cofounder and CEO, said he would stay on to lead it as a separate entity under WeWork. In another effort to expand beyond its office-leasing business, WeWork announced on Wednesday that it acquired Managed by Q, a platform for office tenants to hire on-demand workers for office-management tasks like cleaning or staffing reception desks. Managed by Q was most recently valued at $249 million in a financing round in January, according to PitchBook data cited by The Wall Street Journal. The Journal said the company had raised $85 million since 2014 from firms including GV, Homebrew, and RRE Ventures. While much of WeWork’s business is leasing office space to smaller tenants, it has been seeking to work with the kind of medium and larger companies that Managed by Q mainly serves. Managed by Q had a partnership with WeWork in which midsize companies using its Headquarters by WeWork private office spaces could use Managed by Q’s services, The Journal said. WeWork, most recently valued at $47 billion, has made several acquisitions over the past year to add support services for its customers, acquiring Teem, a meetings-management platform, in September, and Euclid, a platform that analyzes physical spaces through WiFi, in February. 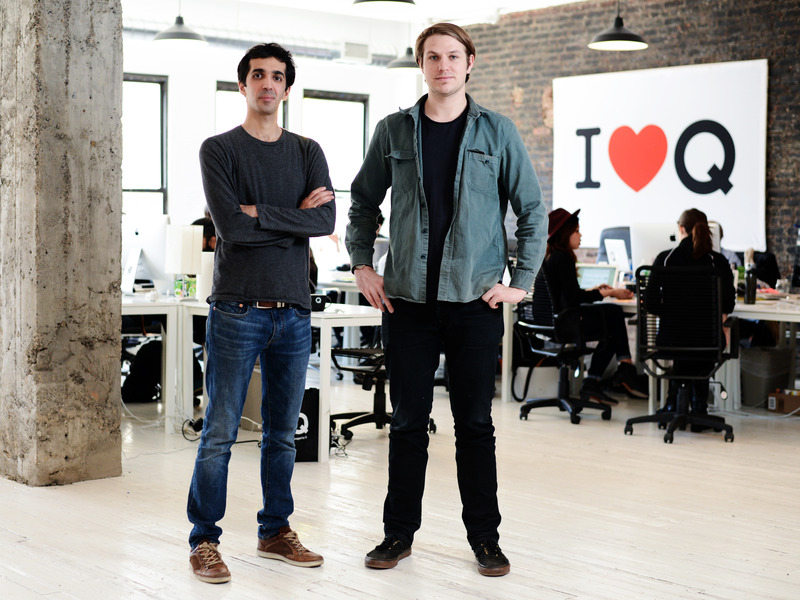 Teran said he would stay on and manage the team as a separate entity under WeWork. “I believe that WeWork has the potential to be one of the most important companies in the history of the world, and I am excited to dedicate the next chapter of my career to making it so,” Teran said in the blog post. Managed by Q will not be rolled out at all WeWork locations and will continue to work with its other clients, The Journal reported.